For the past couple of weeks this poem was rattling around in my head. Youtube has the late actor Richard Burton reading it that brings it alive. What this has to do with fishing is a tough segue. The poem does have something to do with life and fishing for us is life. Right now that is the best I can do but there is something of value here. The poem has more than a hint of spring along with the reminder that all things are fleeting. 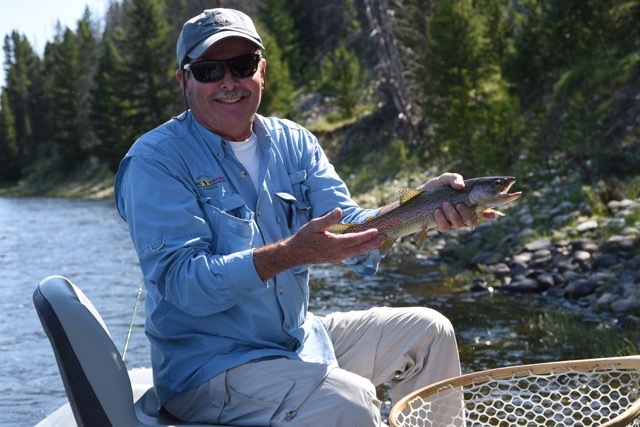 April, May and June in Montana were kind and generous with good rains and mild temperatures. 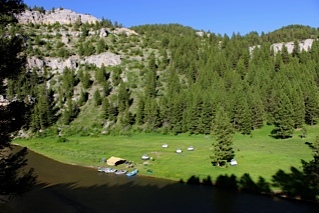 Montana became a sea of green lush grass with rivers spilling over their banks. We had wonderful days on the Big Hole with the river swollen sliding through the cottonwoods. We chased trout into the mountain section of the Big Hole seducing fish in the soft leeward currents. 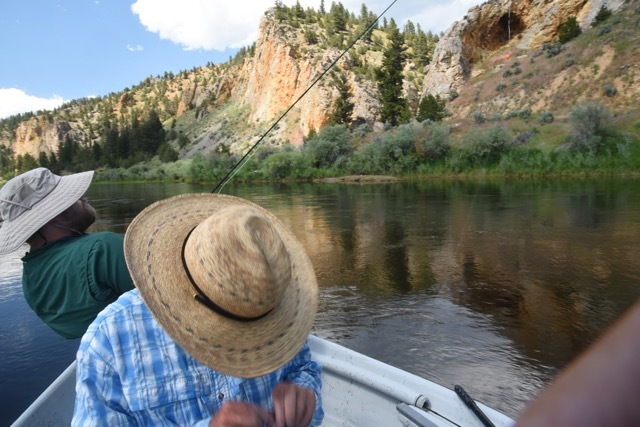 Our first Project Healing Waters Fly Fishing trip with disabled veterans on the Smith River occurred the second week in May. The first day the weather was warm bringing a rush of melting snow into the river. The second day a north wind came along with snow in the high country, which slowed the run off. The following days the Gods favored us as we picked trout off in eddies and inside seams. We floated for sixty miles with six veterans and a staff of eight. The trip is five days and four nights and is the stuff that dreams are made. There is a tangible relief in witnessing a drought end. We aren’t bracing for a low water year. 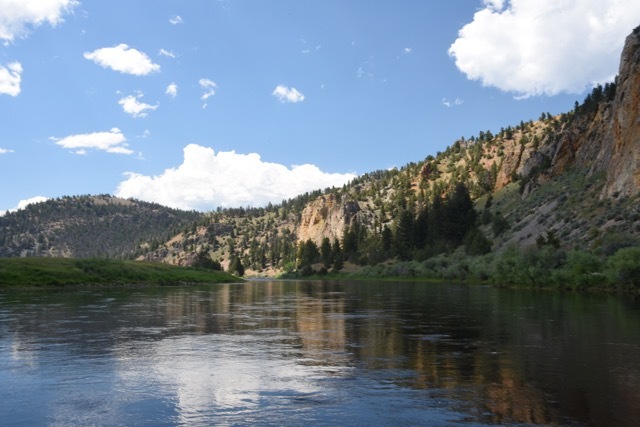 In June, the Ruby River was running high along with the Madison, Beaverhead, Jefferson and Big Hole. The private water we relied on for the last two years is resting. The real abundance of fishing in Montana is taking place with water everywhere. 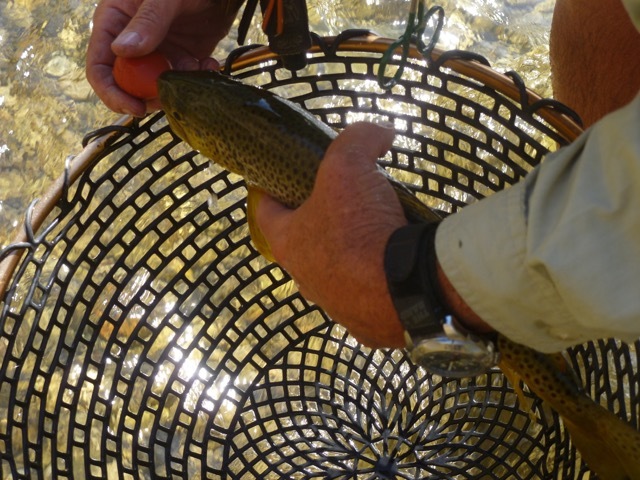 The world appears benign which for fishermen means dry fly fishing occurs. July 4 seven disabled veterans from Project Healing Waters Fly Fishing were our guests at Healing Waters Lodge. They were hosted by some dedicated customers, who floated and fished for a greater good. It is a true privilege to witness the unbridled joy of someone’s first trout. But, for many fishermen every trout feels like the first fish which becomes unbound joy. If I have moments of grace in both temperament and action they seem to come when I am fly fishing. There is something noble in releasing a fish that makes us better. The high idea of character is doing the right thing when no one is watching. Releasing a fish unharmed back into a stream reinforces this ideal; and as guides we try to release as many in fish in a day as we can. July 18 and I just got off the Ruby River. The sun is round and high with the hay being cut and piled high in the fields. I am no longer green or carefree and time becomes the commodity I treasure most. There is no better time to fish and be alive than today. If you want to defeat time, grab your fly rod and give us call. We know some fine places to fish.